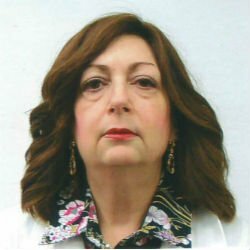 The American Health Council recognizes Gloria D. Wiseman, MD, FAAP as “Best in Medicine” for her outstanding contributions to the medical field. Dr. Gloria Wiseman is currently an attending physician of neonatal-perinatal medicine and assistant professor of pediatrics at Columbia University Medical Center in New York, New York. Throughout an outstanding 35-year career in the healthcare industry, Dr. Wiseman gained comprehensive skills and knowledge in clinical medicine, neonatology, pediatrics and patient care. Dr. Wiseman’s interest in the medical field sparked at a young age after her aunt gifted her a Ken doll with a doctor’s uniform. She removed his white coat and placed it on her Barbie, and immediately realized she wanted to pursue a career in medicine. She enrolled at Columbia University College of Physicians and Surgeons and earned a medical degree in 1981. She completed an internship and residency in pediatrics at the New York University Medical Center in 1984 and a neonatal-perinatal fellowship at Babies Hospital of Columbia University in 1986. Five years later, she completed a research fellowship in allergy and immunology at the Albert Einstein College of Medicine. Board certified in pediatrics and neonatal-perinatal medicine, Dr. Wiseman is affiliated with the NewYork — Presbyterian/ Columbia University Medical Center and the NewYork — Presbyterian Morgan Stanley Children’s Hospital. Among her myriad accomplishments, she is most proud of her continued success throughout the course of her medical career, which she attributes to her work ethic. In her free time, Dr. Wiseman enjoys ice skating, watching films and reading. Additionally, she contributes time and funds to her local rehabilitation center. In the upcoming years, she plans to continue to expand her skill set to provide optimal care to her patients. Since 1887 and the founding of Babies Hospital, Columbia University has been broadening the world’s medical knowledge base through research, technology, and clinical excellence. Columbia University’s affiliation with the very first Babies Hospital in New York continues today with its successor, NewYork-Presbyterian/Morgan Stanley Children’s Hospital, the top Children’s Hospital in the New York region as ranked by U.S. News & World Report. Columbia University Medical Center (CUMC) is an internationally recognized leader in the creation of new knowledge and therapies to improve the health of individuals and populations.